Andrew McCabe, the former FBI deputy director ousted this year amid repeated attacks from Trump and a critical Justice Department report, has a book deal. St. Martin's Press announced Tuesday that "The Threat: How the FBI Protects America in the Age of Terror and Trump" will come out Dec. 4. St. Martin's is calling the book a candid account of his career and defense of the FBI's independence. According to the publisher, McCabe will describe "a series of troubling, contradictory, and often bizarre conversations" with Trump and other high officials that led him to believe the "actions of this President and his administration undermine the FBI and the entire intelligence community" and threaten the general public. 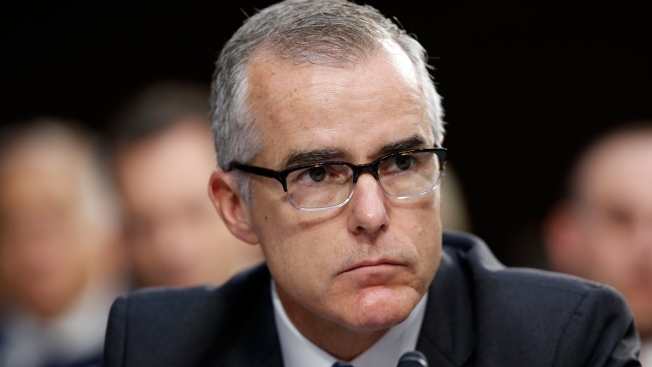 "I wrote this book because the president's attacks on me symbolize his destructive effect on the country as a whole," McCabe said in a statement issued through St. Martin's. "He is undermining America's safety and security, and eroding public confidence in its institutions. His attacks on the most crucial institutions of government, and on the professionals who serve within them, should make every American stand up and take notice." With the bureau, McCabe had worked on everything from the Sept. 11, 2001, attacks to the Boston Marathon bombing. "The Threat" is likely to draw comparisons to "A Higher Loyalty," the best-seller by Comey, whom Trump fired in 2017. Both books come from divisions of Macmillan. McCabe had been with the FBI for more than 20 years when Attorney General Jeff Sessions fired him in March, just before McCabe's planned retirement. His ouster came as a report from the Department of Justice's inspector general faulted him for misleading investigators looking in to the leak of information for a 2016 Wall Street Journal story about the FBI's probe into the Clinton Foundation. McCabe denied the charges. Meanwhile, Trump had accused him of bias against Republicans because McCabe's wife had accepted campaign contributions from the political action committee of then-Virginia Gov. Terry McAuliffe, a Democrat, during a failed state Senate run. 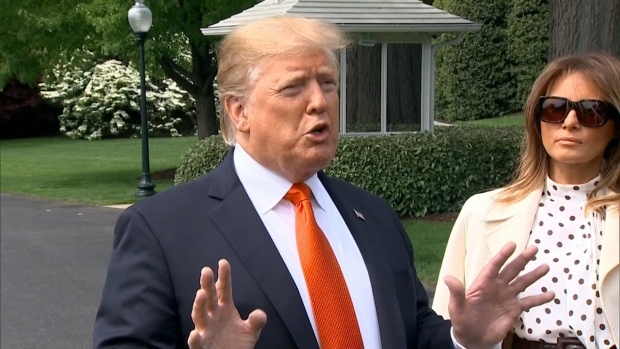 The Republican president also was angered that the FBI was investigating his campaign's ties to Russia and that it did not bring criminal charges against his 2016 Democratic opponent Hillary Clinton over her handling of emails while secretary of state. After McCabe was fired, Trump tweeted "Andrew McCabe FIRED, a great day for the hard working men and women of the FBI - A great day for Democracy." He has since threatened to revoke McCabe's security clearance, and this week directed the Justice Department to publicly release some of his text messages related to the Russia probe.